Tracerlab P.O. 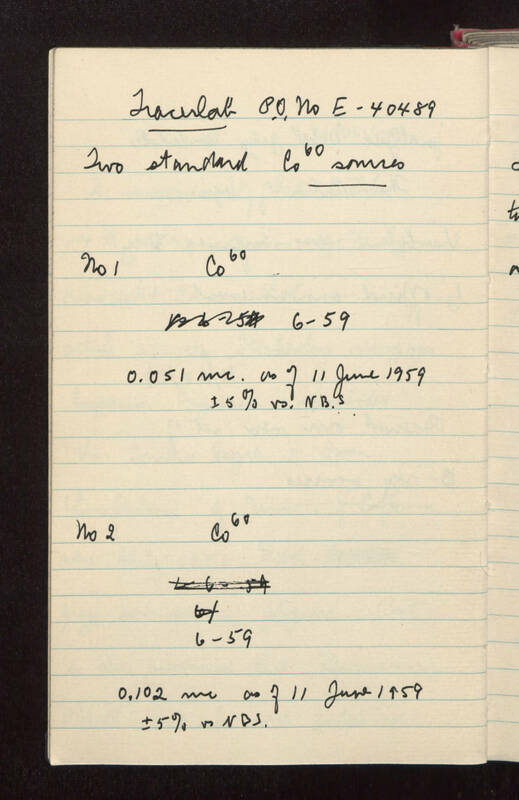 No E-40489 Two standard (Co exponent 60) sources - Number 1 Co exponent 60 6-59 0.051 mc as of 11 June 1959 +- 5% versus N.B.S. Number 2 Co exponent 60 6-59 0.102 mc as of 11 June 1959 +- 5% versus N.B.S.